The National Park Service (NPS) has issued a prospectus soliciting proposals to provide lodging, food and beverage, retail, marinas, camping and other services in Grand Teton National Park. The concession contract will be valid for 15 years. The NPS has determined that no preferred offeror for this contract exists pursuant to the terms of 36 Code of Federal Regulations, Part 51; therefore, this solicitation for commercial services is fully competitive. 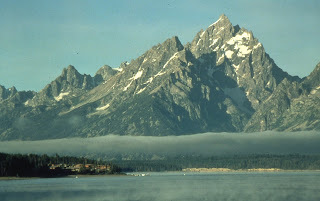 The existing concession operation provides lodging, food and beverage service, retail, marinas, camping and other services at the Signal Mountain Lodge and Leeks Marina areas within Grand Teton National Park, in northwest Wyoming. The concession facilities are concentrated in three primary areas and located between 30 to 45 miles north of the town of Jackson. The contract is currently held by Rex G. and Ruth G. Maughan. There are many unique attributes to this concession contract that could potentially affect the operation; these include a significant amount of deferred maintenance, fluctuating water levels on Jackson Lake, a compressed operating season, and a high cost of doing business in the area. Any offeror for the contract will need to take into account these factors. 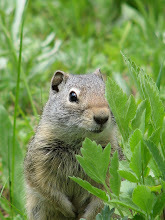 Prospectus packages are available by contacting Jacque Lavelle, Intermountain Region chief of concessions, at 303.969.2661, or by email at Jacque_Lavelle@nps.gov. Interested parties may also write to National Park Service, Concessions Management Division, 12795 West Alameda Parkway, Denver, CO 80228. The cost for a copy of the prospectus is $35.00 per copy, if delivered by Federal Express, or $30.00 if picked up in person. Checks and money orders (no cash accepted) must be payable to the National Park Service, and a physical address and phone number must be provided to receive a Federal Express package. A prospectus package is also available online at http://www.concessions.nps.gov/Prospectus.cfm. Those planning to submit a proposal, who have obtained a prospectus from the Web site, should provide contact information to Jacque Lavelle in order to receive future responses to questions or amendments to the prospectus. Those requesting a hard copy, or who have been placed on the mailing list, will be provided with additional information specific to the prospectus. Information relative to the solicitation will also be posted to the above mentioned concessions Web site. Contract offers must be received no later than 4 p.m. MST on Monday, May 10, 2010 by the Chief of Concessions, National Park Service, Intermountain Region, 12795 W. Alameda Parkway, Lakewood, CO 80228.